You must be a member of the Limassol Outdoor Group to attend this activity. Would you like to join this group? Protected content is a most suitable choice for an elegant dining experience and ideal for a business lunch or dinner. 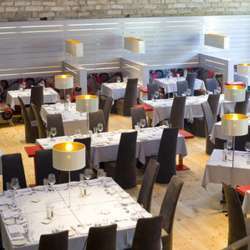 The carefully restored and tastefully designed restaurant radiates unique character in a contemporary and elegant environment. The rich menu and professional staff are sure to leave guests with a favorable and flavorful impression. Located at the Protected content offers Mediterranean dishes inspired by the Italian cuisine. The creative menu is enhanced with tempting desserts and a wide selection of local and international wines. Let me know asap to book a table in this usually full place!